This is a chakstal-gang or prostration station on the outer kora around Mount Kailas. 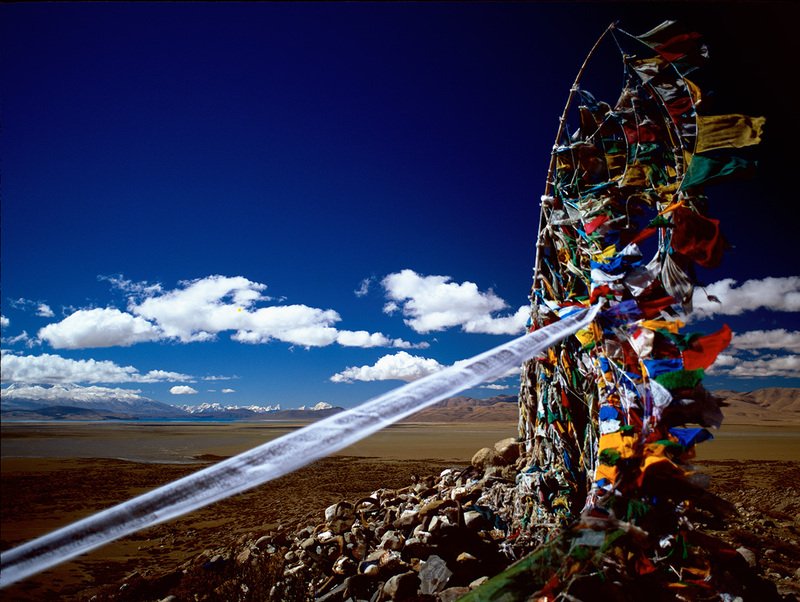 The kora is the circuit trail used by pilgrims to circumambulate Kailas, and at every point on the route from which Kailas is visible there is a chakstal gang, where the devout throw themselves to the ground in hommage. Beyond, across the plains of Barkha, Manasorovar Lake and the distant peaks of the Nepal Himalaya can be seen.